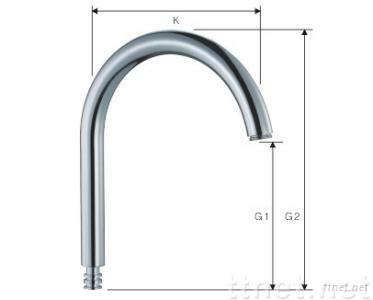 Taizhou Jiachao Plumbing Fitting Manufacturing Co., Ltd.
Code: JC-3005 Size: φ : 24 K: 195 G1: 158-188 G2: 250-280 Or according to the customers' requirement Material: Brass Surface Finishing: Chrome Plated The spout can mix with aerator and nut. Packaging Details: Bags, boxes or according to the customers' requirement Delivery Time: 20days after confirmed the order. We also can produce products according to customer's drawing or sample. Hardware, Plumbing Supplies, Plumbing Supplies/n.e.s.